Wild Stone Aqua Fresh Eau De Parfum is specially curated for the man who lives by the spirit of summer. With notes of vanilla and musk, it reveals the perfect scent. Wild Stone Perfumes are designed by top international perfumers and specially formulated to last really long in Indian conditions. 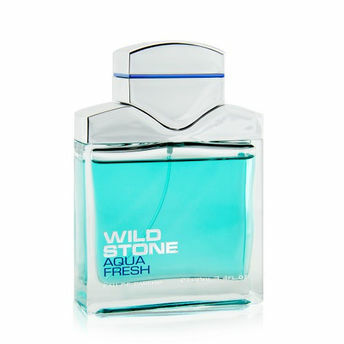 About the Brand: Wild Stone is a leading men's deodorant brand in India owned by McNROE. Wild Stone provides an array of grooming essentials for men that keeps them confident and sharp throughout the day.The brand brings variety of high quality grooming essentials, fragrances, skin care and shaving products.